Mytopface expert has stumbled upon an amazing beauty company that specializes in skin cell treatment. CelleCle products make our skin cells “unlock” and redirect a cellular communication to respond to the exact needs of aging, changing skin. CelleCle uses three-layer approach to restore broken communication, rebuild the architecture, and adapt the infrastructure. For anyone who has never used a black mud masque, our MyTopFace expert says it’s pretty fun. You wouldn’t even recognize yourself after you have applied it onto your face. Phyto-Silt Extreme is a black mud masque that has charcoal and phytic acid. When you apply it to the face, you can feel the rice grain texture smoothing out any rough surfaces on the skin. This product has Mineral-Rich Silt, also known as mud, that helps keep your skin hydrated and smooth. After application, we can say that it kept our expert’s skin hydrated and smooth for almost the whole day. People can see the difference and it leaves the skin with a very nice glow. You should definitely use this in the morning to start your day off right! Phyto-Silt Extreme is for all skin types. After our expert used the Phyto-Silt Extreme, she applied the Multi-Restore, the corrective eye contour treatment. Now this product is a “go-to” product, when you start seeing puffiness under the eyes. No one wants to look sleepy or tired from the night before. It does not require a lot to see a difference. You’ll only need one small pump onto the index finger, and then with a couple of sweeping motions on the outer and inner corner of the upper and lower eyelid area, you are good to go! Puffiness will be gone! 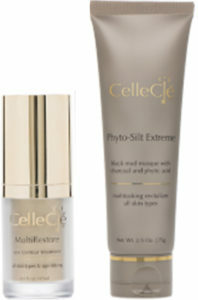 You can try the combination of the Phyto-Silt Extreme and the Multi-Restore. The Multi-Restore gives your eye area a great lift. It fills the deep lines and wrinkles and brings back the firmness. With this product, you should try using it in the morning and night. You’ll see more results to love! Not only can you use the mud masque for hydration and smoothness, there are a couple of other products that you can use in your beauty routines. When you have the time, try to use the Omega-Zyme C after the Phyto-Silt Extreme. Our expert believes that this is another great way to lock-in the moisture to keep your skin hydrate and last longer throughout the day. After applying the mud masque for 10-15 minutes, and then rinsing with warm water; you can apply the Omega-Zyme C for another 10-20 minutes to the skin and rinse again with warm water. You will feel the difference on your face. The skin will be brighter and more luminous. By now, the skin is very clean and ready for anything! But wait, what about the pores? Pores can be deadly, if they are not taken care of properly before you apply your makeup. Plus, don’t you want that smooth skin! Multi-Pulp Gel Puree is a product just for the pores. It accomplishes three things to the pores: resurfacing, smoothing, and tightening. If you read the ingredients, you’ll find that it has cranberry, pomegranate, and pumpkin enzymes. All of these are used to soften the skin. Then, this product has papaya and pineapple enzymes, which gets rid of the dull and discolored cells to make skin tone much more even and brighter. Blueberry seeds are in this too and this makes sure those pores are tighten and unnoticeable. You don’t have to use this daily. You’ll use it once or twice a week. 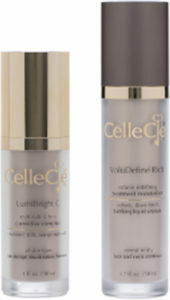 Thanks to CelleCle, MyTopFace was able to try three more products to keep the skin looking amazing. The VoluDefine Rich is works really good for a daily moisturizer. You can apply it morning and night. It’s best to use it twice a day, especially for dry skin. MyTopFace knows everyone needs Vitamin C in their skin. LumiBright C has a few extra ingredients to make their Vitamin C amazing. They included Orange Stem Cells, Vitamin B3, Thiotaine, Smart Biosaccharide, Niacinamide, Lipochroman, Dipotassium Glycyrrhizate, Rosamox, and Dexpanthenol. This product helps with sun damaged, hyperpigmentation, discoloration, and firmness. CellSurge Intensif makes your skin looking more youthful. It protects you skin from aging. You can use this with VoluDefine Rich moisturizer. Omg! 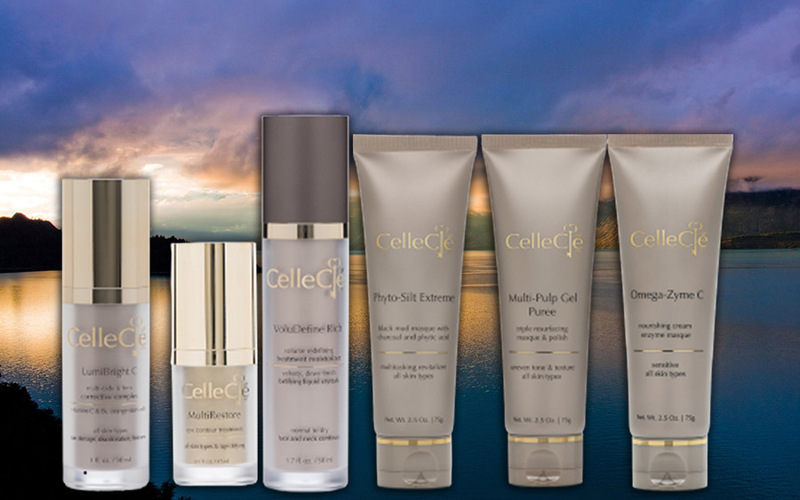 With all these CelleCle products, our MyTopFace expert’s skin is rejuvenated and fresh! It made our expert feel like she was having a special spa day just for her skin. Everyone needs a day to take care of them self. Start today!